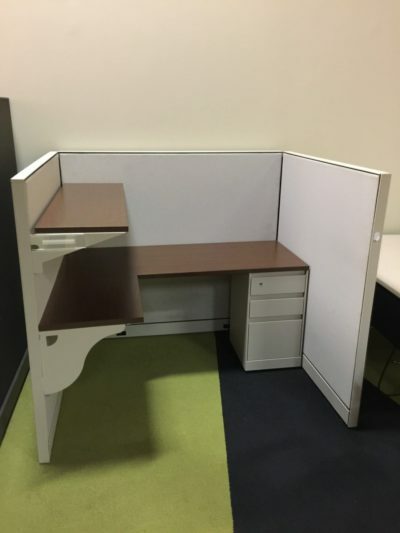 This Herman Miller 6′ x ‘6 cubicle is from the Canvas series. It features an l-shpaed work space and a pedestal. 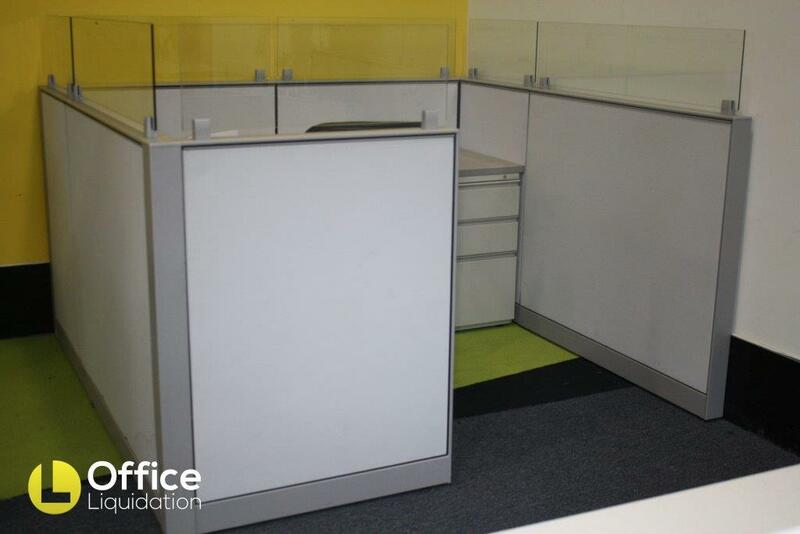 Check out our used office cubicles with One Pedestal. 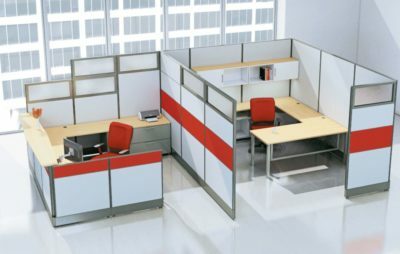 L-Shaped cubicles are 6′ x 6′. 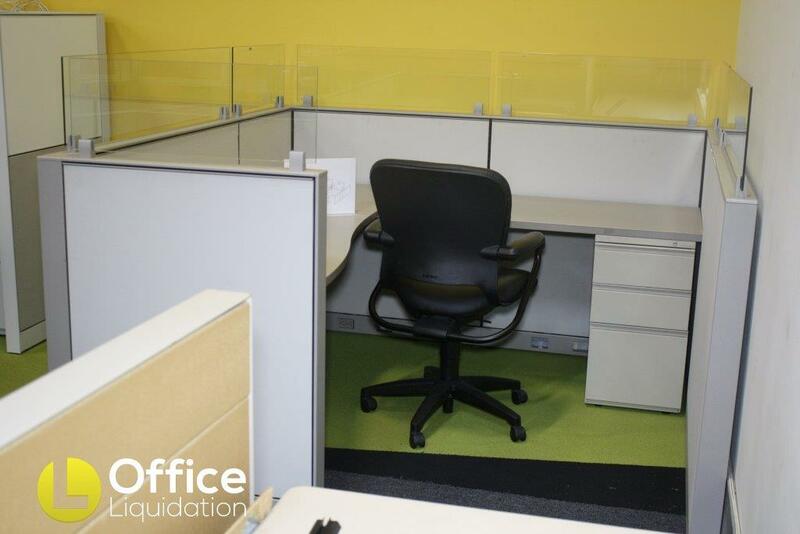 Save tons of money buying reconditioned cubicles at Office Liquidation. 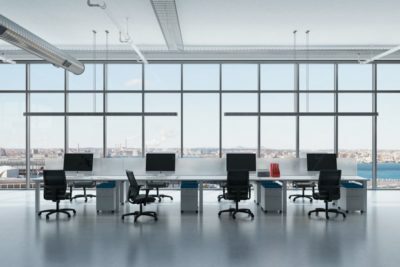 Shopping for a pre-owned 6′ x 6′ office cubicle? You have come accross the best closeoutsf on Herman Miller cubicles in Orlando! Office Liquidation has the best selection of Grey 6′ x 6′ Herman Miller L-Shaped office cubicle with One Pedestal and Fabric Panels, Laminate Top in Orlando.